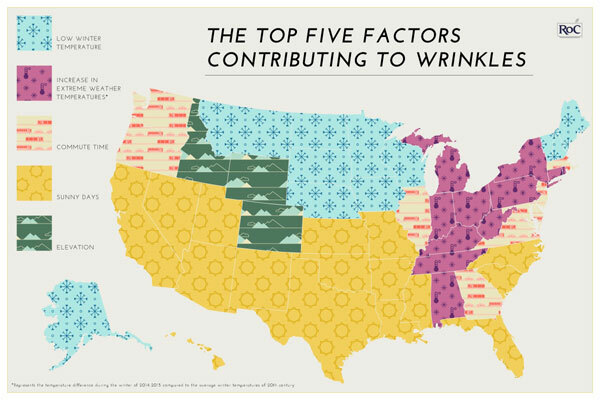 beautybliz.com / Are You Living in the Most Wrinkle-Prone State in America? Are You Living in the Most Wrinkle-Prone State in America? It’s no surprise that our environment plays a huge role in aging. Everything from pollution and UV rays, to our own lifestyle can cause wrinkles and it’s our job to protect our skin from the elements. But did you know that where you live is also a contributing factor of aging? 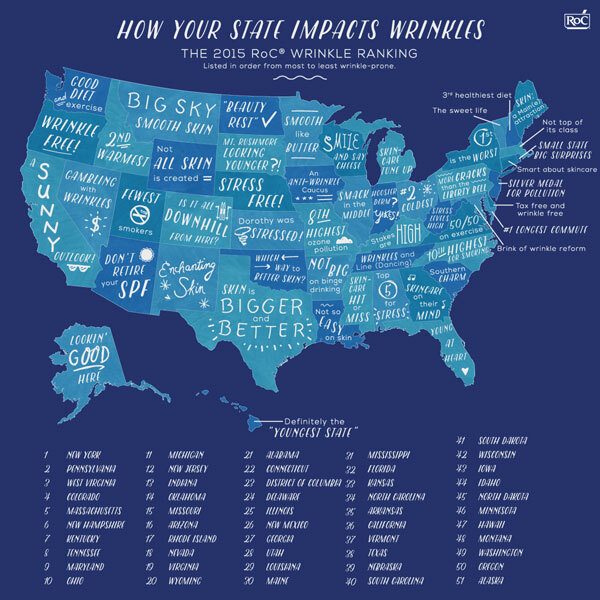 RoC Skincare and Sperling’s Best Places recently released their second annual Wrinkle Ranking study, which shows us the most wrinkle-prone states in America, and the results were fascinating. Okay, who’s moving to Alaska with us? 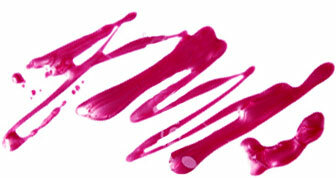 For more information about the Wrinkle Ranking Study, click here.